Detox your scalp while building volume. 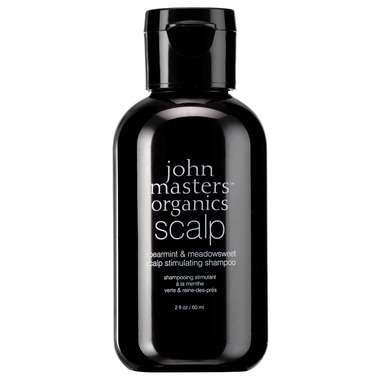 This purifying shampoo optimizes scalp conditions for healthy, manageable hair. Six certified-organic ingredients remove buildup and stimulate the scalp while soy proteins hydrate hair and lock in moisture. Directions: Wet hair, massage into scalp and leave on for 1-2 minutes and rinse. I've been using this shampoo over a year and it has made a huge difference to my dry, fine hair. I use it once a week to thoroughly cleanse my scalp and hair to encourage growth. The ingredients stimulate circulation which in turn also encourage growth. Even my hair stylist has noticed a difference. This size is great for travel and trialing the product. This shampoo is minty, and when left on the scalp for a few minutes, gave a tingly sensation. I have fine, shoulder-length hair and found that my roots got oily fast. Would not repurchase.